The UN World Food Program (WFP) says about one in five people in Mauritania face food insecurity as a result of poor harvest and high prices. 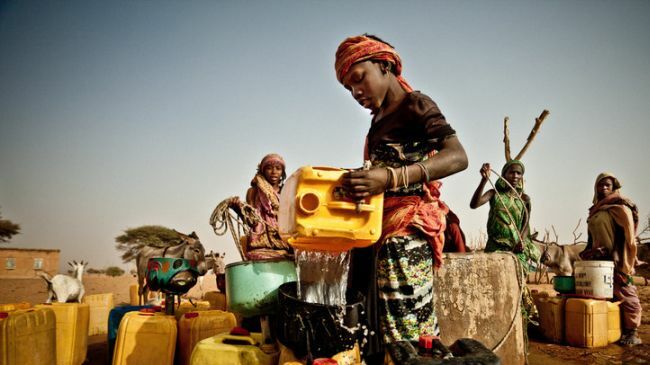 The UN agency presented a study on Monday saying more than 650,000 people in the African desert country of 3.5 million are living in conditions comparable to those of December 2008 at the peak of the world food crisis. The post-harvest study also noted that poor harvest and high prices are key reasons for the food crisis. The WFP says the country is generally capable of satisfying just some 30 percent of the population’s food demand. The UN agency conducted the study in December 2013 and January this year in the impoverished Sahel nation that is some two-thirds desert. Meanwhile, the UN Office for the Coordination of Humanitarian Affairs has also voiced concern about the food crisis in Mauritania. The UN office has identified the impoverished country as one of nine African nations that will be threatened with famine and malnutrition this year. The other eight countries, which are also at risk, are Burkina Faso, Cameroon, Chad, Gambia, Senegal, Niger, Nigeria and Mali.